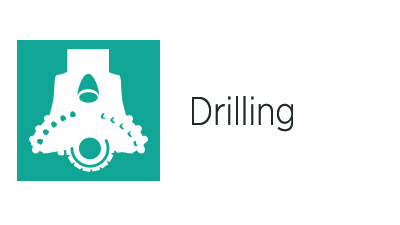 Upon completion of this module, the participant should be able to follow proper procedures for obtaining permission to conduct drilling, workover/recompletion, stimulations, abandonment proposals and well servicing operations, in accordance the established legal requirements of the MEM, MARNR and other official organizations. Upon completion of this module, the participant should be able to select the proper sizes and grades of tubulars to maintain the integrity of the wellbore and handle anticipated production, as well as select the downhole casing and tubing accessories needed to optimize production and future well work. Upon completion of this module, the participant should be able to: prepare the well for open-hole logging operations and take steps to ensure that such operations proceed smoothly, alert the wellsite geologist and service company logging engineer of hole conditions that may require modifications or special precautions in the logging program, assist in planning and carrying out a drill stem test, determine safe operating parameters for running a production casing string, plan and carry out a simple single-stage primary cementing operation, use temperature surveys to determine the top of cement in the casing/hole annulus, and outline the steps involved in preparing the well for final completion and releasing the drilling rig. Upon completion of this module, the participant should be able to: diagnose various types of formation damage and identify stimulation candidates, design a matrix acid stimulation treatment based on specific well conditions and reservoir characteristics, specify the materials, equipment and pumping schedule for a hydraulic fracturing procedure, and apply traditional and modern sand control methods to optimize well productivity. 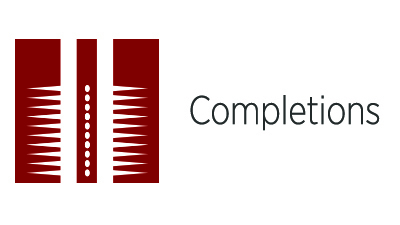 Introduces features used to categorize well completions, emphasizing the importance of correct tubing design and techniques. Introduces the chemistry and classification of oil well cements. Presents downhole components common in producing wells.